Zoology Professor Lauren Chapman combines ecological and physiological approaches to understand the evolution of freshwater fishes and applies these approaches to current conservation issues in African fresh waters. The wetlands, lakes and rivers of Uganda serve as her living laboratory, where she studies adaptations of fishes to extreme conditions and how human impacts – such as overfishing, introduced species and poor land-use practices – impact native fish species. For several years, she has focused on how oxygen-scarce swamps contribute to fish faunal structure and diversification and described adaptations of fishes to the extreme swamp conditions. Chapman has discovered that oxygen-scarce wetlands are also important in preservation of biodiversity in East Africa. Lake Victoria, a lake the size of Ireland, is the African continent’s single most important source of inland fisheries production, but is best known to scientists for its explosive speciation of cichlid fishes. Chapman and colleagues believe many of these native fish species were consumed by the voracious, predatory Nile perch, a species introduced to the lake beginning in the 1950s as a food source. Chapman’s research in the Lake Victoria basin has focused on how some species of fish have survived by inhabiting the low-oxygen wetlands that border the lake. “In addition to providing refuge for some of these fishes, the wetlands may serve as a barrier to the dispersal of Nile perch because the perch cannot tolerate the low oxygen levels that are common in the wetlands water,” she says. In the past five years, Chapman has published 46 papers in the premiere journals of her field and received grants from the National Science Foundation, Wildlife Conservation Society, National Geographic and the Ford Foundation totaling more than $500,000. 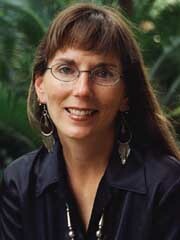 The College of Liberal Arts and Sciences recognized Chapman’s work by awarding her the David L. Williams Term Professorship in 2001.